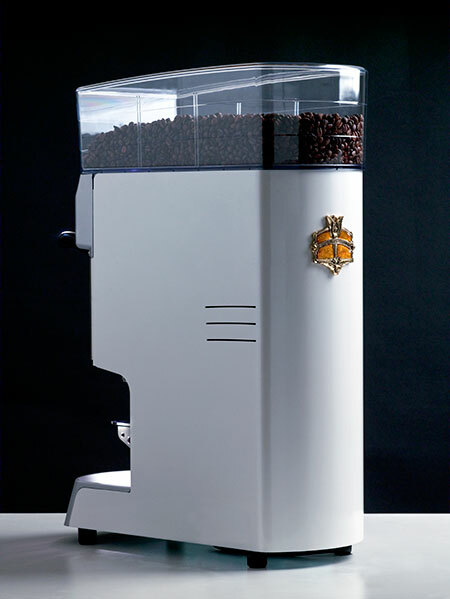 Mythos Plus is the on-demand grinder with a dynamometric tamper and with the quality and ease of use demanded by coffee shop chains, hotels and restaurants. 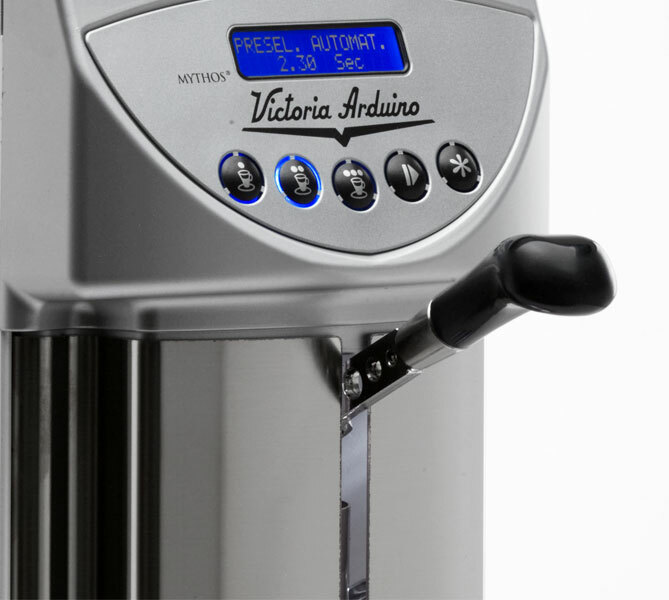 Its grinder instantly provides a fresh ground coffee of the highest quality, while the dynamometric tamper ensures a constant pressure. 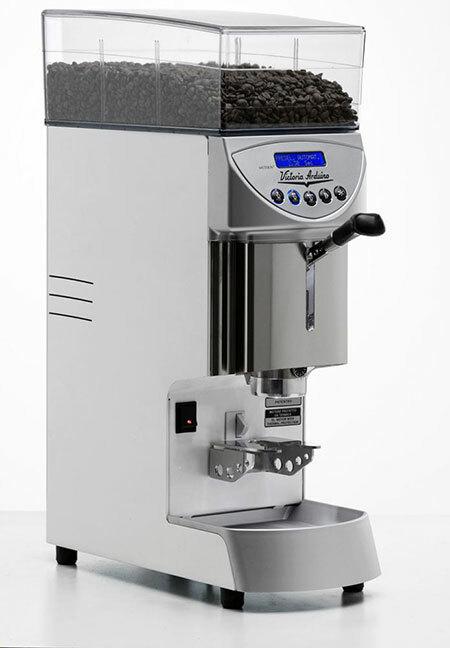 Its technical features make it an extremely reliable and accurate grinder, easy to use and able to get a consistent and repeated result. Simplify and standardize espresso preparation. 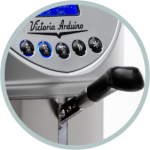 The dynamometric tamper leads to more accurate and easier work for the barista, ensuring constant pressure for constant results. 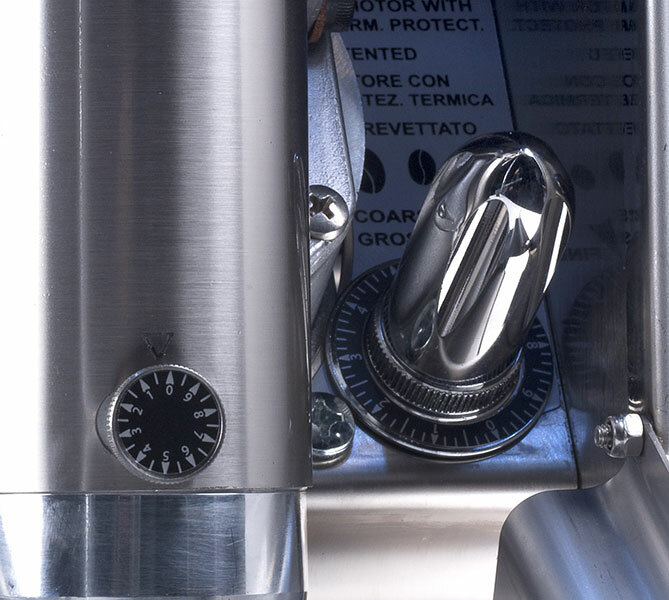 Mythos Plus’ micrometric grinding goes beyond the traditional setting for “intermediate spaces;” with a sliding control making the required degree of grinding extremely precise. 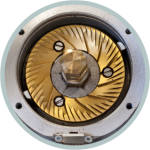 For the Mythos Plus we chose burrs of titanium and special long lasting steels. 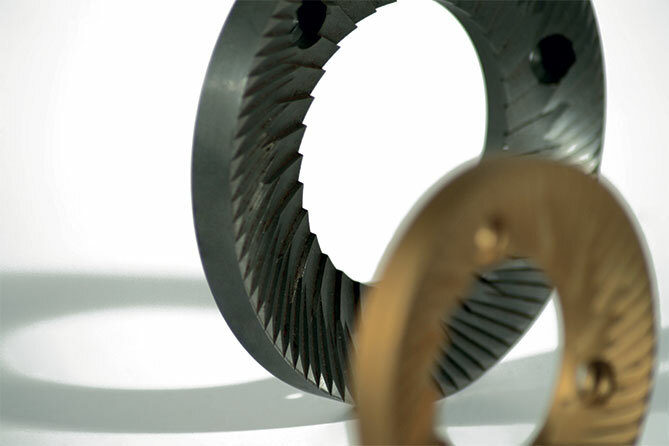 The grinders are designed and manufactured with innovative technologies to ensure grinding that is efficient and constant at every moment of the day. 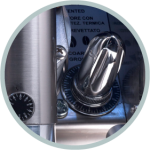 In particular they are designed to prevent overheating of the coffee so preserving the full organoleptic qualities of the coffee.